Maya is the Host of SCENE TV- Schenectady, Cable, Entertainment, News and Events which is televised in 19 counties in Upstate NY. The show highlights local & non-profit businesses and their community stories. The owner of UpTheBiz. An agency specializing in Social Media Marketing, Advertising, Workshops and Consulting of small to mid–size businesses and non profits. After 10 years of struggling as a Curves for Women Franchisee she closed her franchise and began to reinvent herself. In July, 2014, created, developed and launched a mobile app that connects colleges and communities to great dining and shopping experiences. The app is known as Where to Shop and Dine. The app also partners with the Regional Food Bank of NENY to help eliminate child hunger. 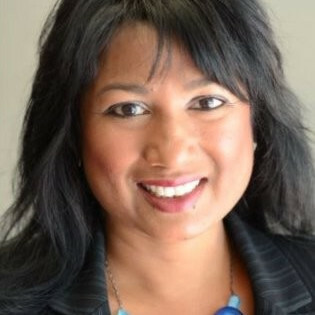 Maya is known as the Leader of opportunities for entrepreneurs to connect and grow their businesses. Maya volunteers her time and host the #UpTheBiz lunch and networking group for inspiring entrepreneurs to collaborate and capitalize. The group is designed to enrich business owners and entrepreneurs on how to connect, network, develop, and grow their businesses. UpTheBiz is 1000 members strong and growing. Maya is proud to have been married for over 20 years and has partnered with her husband who has over 25 years of experience in the construction industry. Restructuring Executive Tile, LLC. November 1, 2016 as Minority Women Owned Business. Maya manages the marketing and business development.